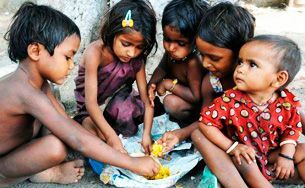 Our main motive is providing education, nutrition, health checkup, women impovernment for poor and needy child. Our programmes are envisioned and executed by our volunteers – individuals from different walks of life, with varied skills sets who come together to enhance the experience of childhood for the children is overseen by a dedicated coordinator who works with the orphanage directors to identify the needs of the children and the institution. The coordinator then connects with volunteers in the area to match the requirements. 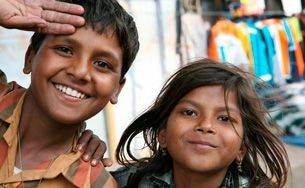 We are committed to provide programmes and services aimed solely at helping the under-privileged children in and around Delhi. We achieve this through programmes in the areas of medical services, nutrition, vocational training, adoption, rehabilitation of physically and mentally children and the provision of day care and non-formal education. In providing immediate relief as well as long-term rehabilitation to these children. Vision care trust supporting needy childs in rural area from last sevsn years. Per chld expense around 1200 rs per year.So please join us for give a better & bright future for those children. We , VISION CARE TRUST appeals all the corporate to provide their best support to us and help the needy people and contribute in CSR activities. Even your small contribution would be a great support for someone’s life betterment. 1. 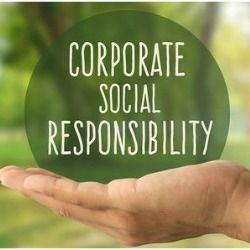 Within the permitted activity as per CSR Rules under Companies Act, 2013. 3. Projects will be customized as per donor’s specification. Any amount can be contributed, so no minimum or maximum requirements. 4. All the documents will be provided to you as per your requirements such as immediately preceding financial years Balance sheet, Income & Expenditure Account, Registration Certificate, etc. 5. Project Name will be decided as per Donor’s specifications and sector whether the Health sector or Education sector. 6. Promotions of your company on our Social Media Platforms and website. 7. All the beneficiaries of the project will be available as per your convenience and meetings can be organised. 8. Your funds shall be used on the sector you choose – Education or Health Care. 9. It increases your customer retention. 10. It helps in developing and enhancing relationships with customers, suppliers and networks. 11. It will help in attracting, retaining and maintaining a happy workforce Save money on energy and operating costs and manage risk. 12. It helps in differentiating yourself from your competitors. 13. It helps in improving your business reputation and standing. 14. Provide access to investment and funding opportunities. 15. It will help to generate positive publicity and media opportunities due to media interest in ethical business activities.